The easiest way to save for retirement. The way we live and work has changed. So should the way we retire. It’s easy. In a few taps, we’ll recommend an IRA and portfolio that’s right for you. Set it and forget it with an automatic Recurring Contribution. Get Acorns Core and Acorns Later for just $2/month until you have $1 million invested with us. Turn extra cash into a better life later — as little as $5 at a time. Don’t worry. When you sign up for Acorns Later, we select the IRA that’s right for you. But if you’re curious, check out these videos to grow your knowledge. 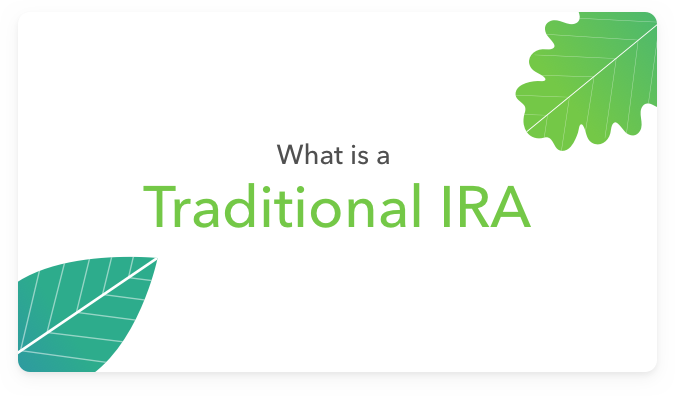 IRA stands for Individual Retirement Account. 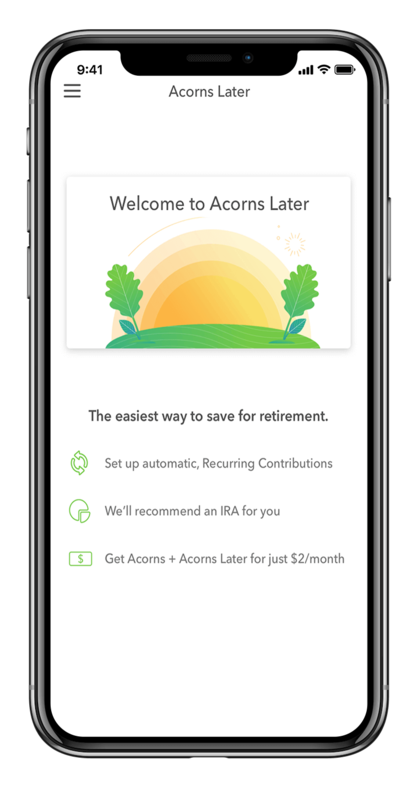 When you open an Acorns Later IRA, we automatically select the right plan for your lifestyle and goals. 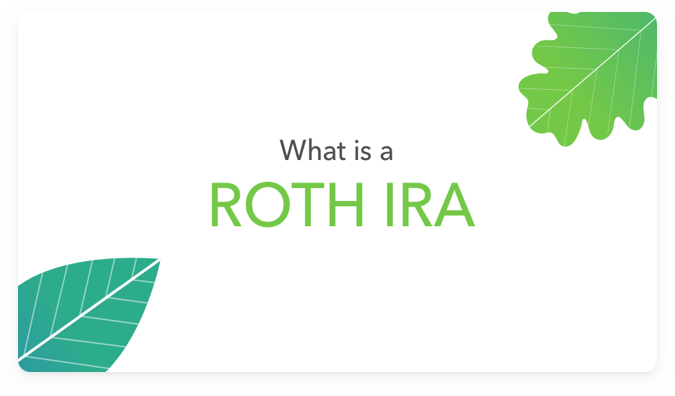 Why should I invest in an IRA? Legendary investor, Warren Buffett said, "The most important investment you can make is in yourself." We agree. IRAs can help you save for retirement with tax advantages! How much money do I need to open an Acorns Later account? Acorns was founded on the principle, "From acorns mighty oaks do grow." Just as with our investment accounts, you can begin investing with just $5. Why do we call this Acorns Later? Because 'retirement' doesn't mean what it used to for a lot of people. It used to be something you could count on — and when it came, you were going to pursue what you love. Today, many don't believe they will retire, and others are doing what they love now. So we call it Acorns Later because it will allow you to save - in a tax advantaged way - for even later in life. If you have any other questions, check out our Acorns Later FAQs. "The new millennial investing strategy." 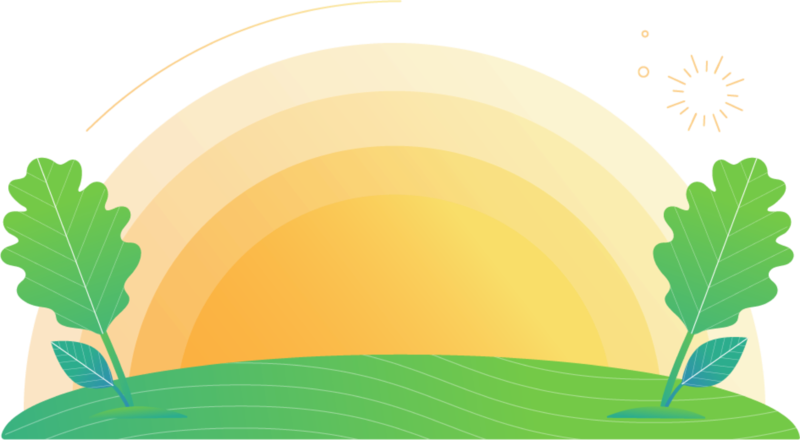 "Acorns simplified the often tedious and complex process of investing. But that doesn’t mean the investment strategy is any less sophisticated." "Acorns offers a unique solution to overcoming the mental barrier: "I just don’t have enough money to be investing."